Whilst the team were attending incident 47, a second call came through from the police to attend a male walker in his 50s who had fallen on the path in Little Narrow Cove, Upper Eskdale and received a fractured / dislocated shoulder. The man was treated on scene for a dislocated shoulder which was put back in by the team doctors on scene. He was then packaged in a vacuum mattress and carried out on a stretcher. 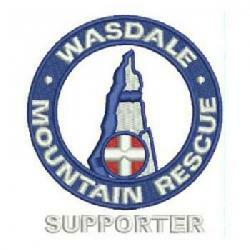 Around 20 Wasdale team members attended the incident supported by 20 team members from Cockermouth MRT. Incident closed at around 6.00 p.m.